On Saturday 15th December I had my 30th birthday party! My birthday is actually the 23rd of December but I always celebrate it a bit earlier since it’s so horribly close to Christmas. 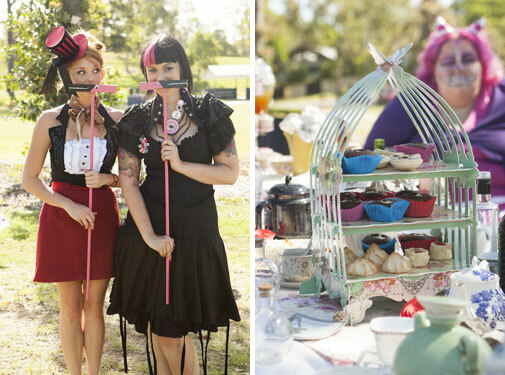 Because it’s the big THREE-OH I decided I’d go all out and have a Mad hatter’s tea party! The photo above is of my sister and I, I was the Mad Hatter and she was Alice. 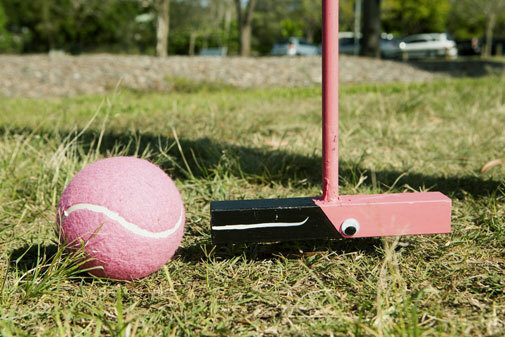 My mum and I spent a few weeks planning it, hand making everything from the invitations to the flamingo croquet mallets. We endlessly perused the internet for pictures of other Mad Hatter tea parties that fitted our vision and borrowed elements to make this party unique. It was a lot of work and we had to leave it fairly last minute as we’d been so occupied with the Ruby Kawaii stall at Supanova. A HUGE thanks to all of my friends who came along, in particular Mia for flying up from Melbourne for the party and Kim, who is always an enormous (and selfless) help whenever I come up with crazy party ideas! The rest of the photos, taken by Ben, can be found on my flickr! Why I shouldn't dye my own hair! Happy birthday. Your party looked amazing. Happy belated birthday! Your party looked absolutely incredible – it’s always good when the guests put so much effort into their costumes. I’m glad you’re feeling better now too! Thank you! I was so impressed that everyone went to so much effort (and there were couple of friends who didn’t get photographed who did an amazing job too)! It looks like it was such a GREAT day, I love all the photos! !